Due to system updates, Club Nintendo members won't be able to redeem their coins for physical goods until May 13. In the meantime, they've doubled the selection of digital games. 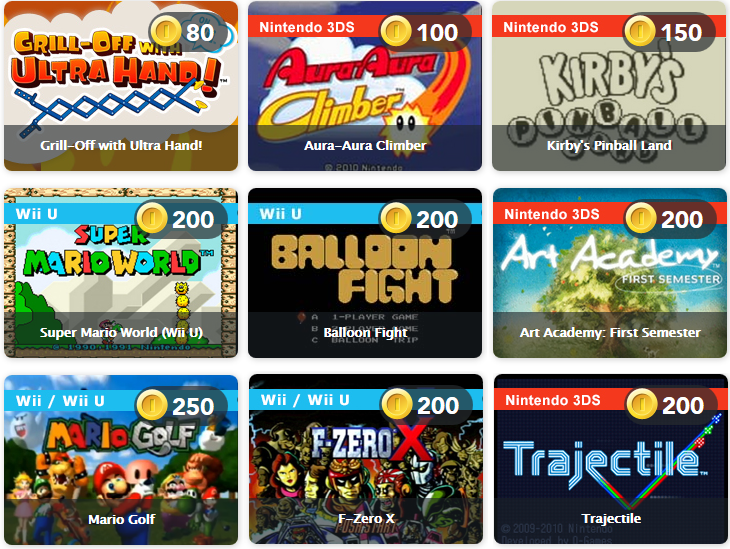 Aura Aura Climber, and Kirby's Pinball Land are now up for grabs on the 3DS for 100 and 150 coins respectively. On the non-handheld side of things Balloon Fight is yet again being offered on the Wii U for 200 coins (a bit steep if you ask me) as well as F-Zero X on Wii/U for for the same price.